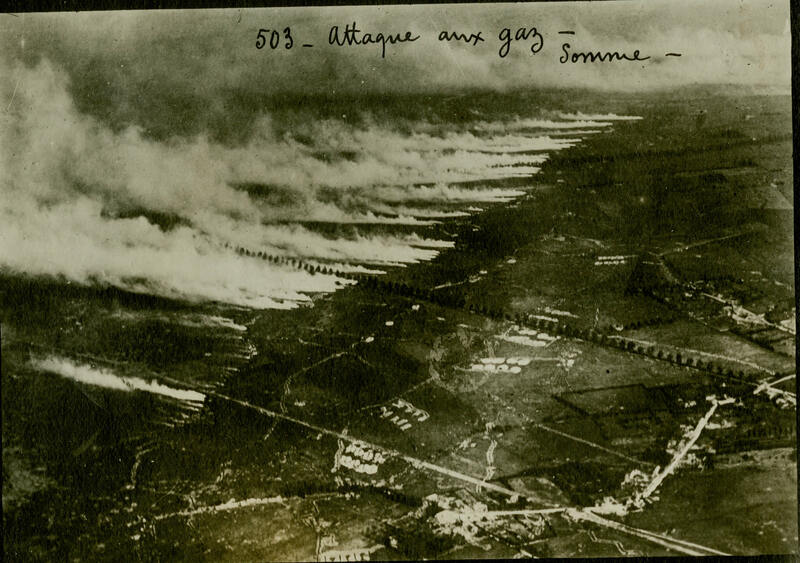 Aerial photograph of a gas attack on the Somme battlefield using metal canisters of liquid gas. When the canisters were opened in a stiff, favourable wind, the liquid cooled into a gas and blew outwards and over the enemy lines. Strong concentrations of gas could overwhelm respirators, but a change in wind direction could also reverse the cloud, which then gassed one's own troops.